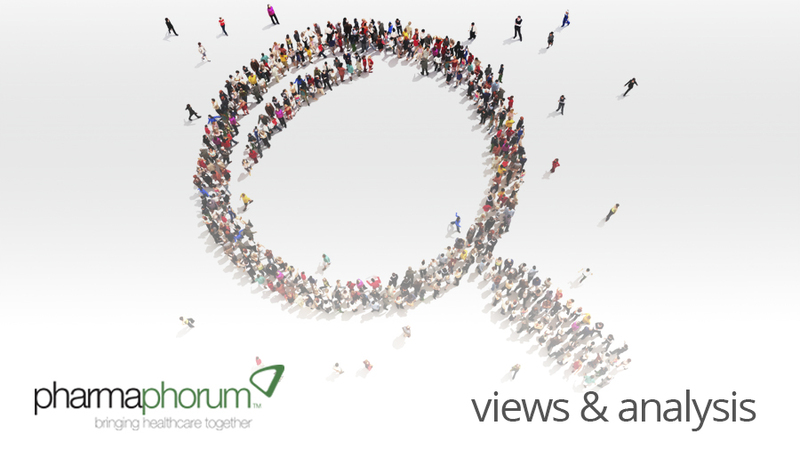 pharmaphorum spoke to Amy Bowen about the new treatments for MS that have become available in recent years and the resulting increase in demand for specialists and support services. What are the biggest issues for people with multiple sclerosis (MS)? Ensuring they have access to health professionals who understand the condition and are skilled to treat it. The MS Trust believes that MS specialists are at the heart of high quality MS care. This includes neurologists with a specialist interest in MS, MS specialist nurses and neuro-specialists, physiotherapists and occupational therapists with expertise in MS. These are the core members of a multi-disciplinary team that people with MS need to be in control of their condition, to get expert advice and treatment and make the choices that are right for them. Access to reliable, trusted information is also vital. The MS Trust has led the field in MS information for more than 20 years and MS health professionals use our materials to support their services. Thousands of people affected by MS contact the MS Trust every year to receive our publications and newsletters and to speak with our expert information team who support them with information, signposting and support to get the best possible care. The field of MS is changing rapidly. There is a growing sense of urgency around diagnosis and treatment. People with MS need to have the best and most reliable information to understand how this impacts them and to have the conversations with their MS team about the best approach to their condition. What are the MS Trust’s priorities for the next five years? Making sure that people affected by MS have MS specialists at the heart of their care. This means ensuring that there are enough MS specialists, that they have the right training and ongoing professional development, that their services run efficiently and effectively and that they have the evidence to demonstrate their impact and value. Our Health Professionals Programme aims to focus on these key areas so that we are providing comprehensive support to the MS specialist services that people living with MS need. The Generating Evidence in Multiple Sclerosis Services (GEMSS) programme, with its focus on evidence, efficiency and equity, is a critical part of our Health Professionals Programme. We also need to continue to develop our information service to reflect the changes in the way people are accessing information. We all know that online access, particularly through mobile devices, continues to grow, so making our information fit for that purpose is an ongoing job. Nonetheless, lots of people still prefer physical books and many MS health professionals use our publications every day as part of their service, so we need to strike the right balance between online and physical content. There are other areas that we are exploring to build on our expertise and relationships, so the future looks bright for the MS Trust! There have been a number of new MS drugs over the last 5-10 years. How have those advanced treatment? The developments in MS drugs have transformed MS care. Having treatment options has driven the need for MS services, so the number of MS neurologists, MS nurses and physiotherapists and occupational therapists has grown rapidly over the past 10 years. This means that there are now specialist services across the UK, though there still aren’t enough, particularly as the UK has low rates of treatment compared to other developed countries. As the NHS continues to feel the financial squeeze, it’s vital that we make sure that those services are secured for the future and expanded where needed. That’s why the evidence of impact is so important. In addition, the new drugs have resulted in new treatment paradigms. It used to be that stopping relapses was the most important thing for people with relapsing remitting MS. Now we understand that it’s also important to stop any evidence of disease activity, including what can be seen on MRI scans. More neurologists are focussed on prescribing the treatment that will stop all disease activity and switching to more effective drugs until this is achieved. This is really important for people with MS to understand. These drugs are all very powerful and, generally, greater efficacy comes with increased risks and side effects. This makes treatment choice very complex, especially as many of them must continue year on year. For people with progressive MS, the big development is around research. The whole MS community is striving to ensure that the benefits that people with relapsing remitting MS have received from the new drugs can ultimately be extended to people with progressive disease. This is the ‘holy grail’ – to halt progression of the disease and irreversible disability. What difficulties and limitations remain with medicines? The main challenges are around equitable access and support for people to have excellent information about treatment options. There are a lot of disease-modifying drugs and the choices are not straightforward. Understandably, many people living with MS have concerns about taking these powerful medicines, many of which are taken on a long-term basis. It is vital that we provide information that helps people understand the value of treatments to give them the best chance of staying well and provide good support to help them make their personal choice. The other challenge is making sure that we don’t drift into a situation where there is a postcode lottery for access to MS care and treatments. We need services and treatments to remain available to everyone with MS, regardless of where they live. The MS Trust has worked collaboratively with pharmaceutical companies on a number of projects where it benefits people with MS to do so, always governed by industry standards and best practice guidance. Our policy on working with the pharmaceutical industry is available on our website. How do health and social care services need to change to provide better care for people with MS? We need to ensure that we have enough MS health professionals for people with MS to be able to access them. Services need to be more responsive so that people can have easy access when it is most important. We need to make sure that services are meeting the needs of everyone with MS at whatever stage they are at with their condition. That means good access to symptomatic treatments and therapies, not just disease-modifying treatments. We need to support integration of services so that there are good models of care that meet the breadth of people’s needs. People living with a condition like MS don’t necessarily experience their needs in neat boxes that are either health or social care. Services need to support the whole person and do that as seamlessly as possible. You have just launched a new Awards programme called QuDoS – Recognising Quality in the Delivery of Services in Multiple Sclerosis. Can you talk us through the thinking behind this, and why these Awards are needed? We are so delighted to be part of the QuDoS awards. There has never been an awards programme which so comprehensively celebrates MS health professionals and MS services in this way. We feel that it reflects exactly what we believe is important to people living with MS as far as services are concerned. We want to be part of celebrating the very best in MS care. Many of these health professionals make a massive difference to people with MS every day, but they often aren’t very good at highlighting what they do. We want to let more people know about the vital role of MS health professionals and make sure they are recognised for their commitment. Amy Bowen is director of Service Development at the MS Trust. pharmaphorum media is delighted to be working, under its Healthcare Partners brand, in partnership with the MS Trust on the QuDoS in MS Awards. Launched earlier this month, and established to recognise quality in the delivery of services in Multiple Sclerosis, the programme is now open for entry to teams and individuals working in the field of multiple sclerosis (MS). Visit www.qudos-ms.com for further information.